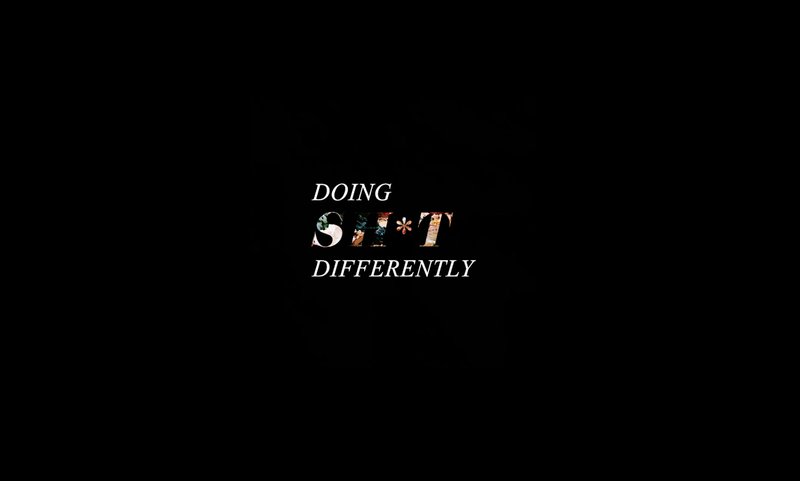 DOING SH*T DIFFERENTLY #1 | I AM BOARD MELBOURNE | MADDIE GLEESON | . @iamboard_melboure, welcome to the hot seat. It’s a place BOARD-Boss Maddie Gleeson is no stranger to, with her biz brainchild of bespoke cheese boards + boxes thriving when the temp is turned all the way up (and then some). For those who have been living under a proverbial rock, #platterporn is all the rage in 2018, with swathing surfaces in salami the antidote to the throes of entertaining. If Melbourne were on The Bachelorette, BOARD is the guy that gets out of the second limo at the end of the series and scores a big, fat promise ring from all of us. 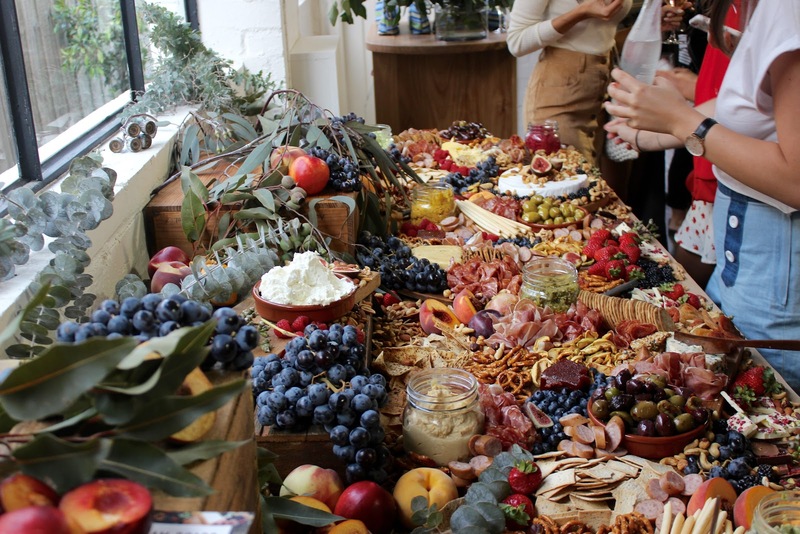 Like diamonds, Maddie’s awe-inducing Antipasto Platters are made under pressure, with just about every fashion agency HQ, athleisure brand, PR mogul and freshly-turned-18 girl in our city turning to IAB for their SOS Platter Calls. That’s a heckload of emails, messages, dietary requirements and logistical mishaps to grapple with. Consider us impressed. You may look to BOARD and think they could chuck a few twiggy sticks and tzatziki on a $10 Kmart marble slab and *brushes hands off* achieve the same thang. Well, you’d be dickishly wrong there. If platter-making was a religion, IAB’s meticulous planning, enviably-clever branding, and tactile produce-collecting would sanction them as the bloody Pope. Somehow, out of all the other boards in the sea, Melbourne has decided to fall intensely head over heels with chiseled, cheesy BOARD bachie. Today, we’re chatting with Maddie to decipher how. BOARD is all grown up now (and a kinda huge deal), but what was the initial inspiration behind your business brainchild? I toyed with the idea of starting I AM BOARD for about two years before actually doing it. I have always loved styling and events so I guess it was a really nice way to enter that market. I was working in marketing at the Woolworths Group when I started it and I was relatively bored - I hated sitting at a desk, I was getting up and walking around to other departments, distracting everyone! I think my boss was relieved when I resigned two weeks after starting I AM BOARD. I knew that I wanted to do something that was exciting and colourful. My inspiration was to not have to sit at a desk for 8 hours a day. Tell us a few of BOARD's recent highlights or pinch me moments. I feel as though every single day is a pinch me moment. We are so lucky to have worked with incredible brands, on extraordinary events so we are constantly excited about the next big thing. The most nervous I have ever been for a BOARD was definitely one we did recently for Tissot at the Brownlow. Everywhere I looked there was another who's who of Melbourne and as we were setting up there were cameras everywhere. I was honestly a bit rattled but in the end it all worked out and I was really happy that it was another thing we could tick off the BOARD bucket list! Now that you're a Big, Bad Boss, how important is it for you to create good vibes within your BOARD team? How do you do it? The vibe amongst our team is one of the main things I focus on. Because I'm only 24 and our team are all under 20 it's really important to create a balance between hard work during prep and really high vibes when we are on site. When hiring I always take into account the people we already have and what is missing from that team. We have a really good balance between some absolute 'work horses' and some really fun, outgoing characters so they complement each other really well and I pair them together on site. We have a group chat that we are in almost every day and we always share little wins with each other and all of the photos from the day get put in that group chat so everyone is always getting feedback from the team and hyping each other up which I think translates in the kitchen and the BOARDs that we put out. Antipasto platter services are sweeping the 'gram right now. It seems like every girl with enough Mersey Valley cheese and ornamental flowers is giving this thing a crack. What gives BOARD the cutting edge? You're telling me! About four months after we started, every day for 16 days in a row we were followed by a new grazing business on Instagram that had just popped up. I wrote down the names of all of them and every single one has since been shut down. People always ask, what makes us different? Why have we survived? The reality is, I don't know the answer. All I know is that I started this business without any help - with noone to look to on Instagram for ideas or inspiration. We were the first of our kind in Melbourne and the first ever to do small BOARDs that I know of. I think that consumers can smell authenticity and taste heart - these are two things that we know are true to our brand identity. We are genuine people who love what we do, who had an idea and went for it. Our customers know that and word gets around. I worked really hard to make this happen, I remember spending 5 days straight sitting on my bed making cold calls to corporates all around Melbourne, elevator pitching them and sending them our brochure. I didn't get a single order from it. A few days later, someone placed an order and they had heard about us from a friend who I had called. Since then, I would say that about 50 or so of the people I called have ordered from us, most of those we have had repeat business from and all of them have recommended us to 1 or 2 others. We never sat back and waited, we went out and took what we knew was ours for the taking. Persistence, determination and a never say die work attitude will take you places that following another business's followers on Instagram can not. You're at the forefront of your business 'niche'. Does competition and copycatting ever get to you? Do you take inspiration from it, or get pi**sed off by it? I sort of touched on this above but will elaborate here! Initially I would get really frustrated with people who would copy us - not just our style of grazing but people who would literally take whole chunks of copy from our website and use it as their own on their websites. Then one day I had a bit of an epiphany - if someone isn't even creative or intelligent enough to write their own website copy or create a unique style of putting cheese on a board, they're really no threat to someone who is. I'm confident in our product, I believe that we are the best in the market and so when things make their way in front of me that used to set me off, I now just laugh and don't waste any time or energy on it. Talk us through BOARD's brand persona. He's a real hoot. 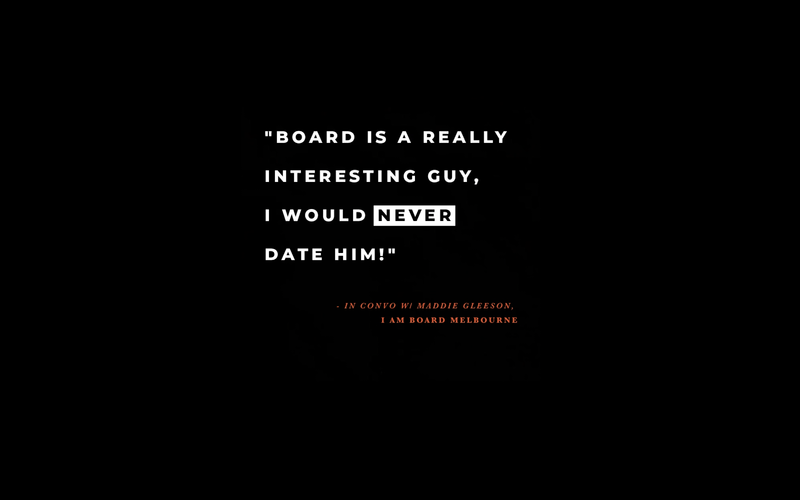 BOARD is a really interesting guy, I would NEVER date him! When I started this business I was in a pretty average state mentally. I had been in a really bad relationship that caused me to lose a lot of confidence, I had only moved back to Melbourne a year or so earlier and I wasn't quite sure of my place in the world. Everything I had read about business told me that you have to back yourself and believe in yourself, people will smell it if you don't and they won't believe in you either. I decided to make BOARD everything that I wasn't, because if people weren't going to believe in me - there was no way they couldn't believe in him. He is incredibly cocky, backs himself all the way and, well, it's all about him. I never expected a real response to him but we constantly get emails from people playing on it, emails starting with "Hi BOARD, I would love to invite you to my party!" we play on it too, telling them he will come but there's an appearance fee and so on, he's basically Scott Disick. Who are 3 of your current brand crushes and why? 1. GO-TO ... Zoe Foster Blake, need I say more? Their marketing is next level, I love everything they do. Taking something not very exciting or funny and making it SO, deserves every award! 2. 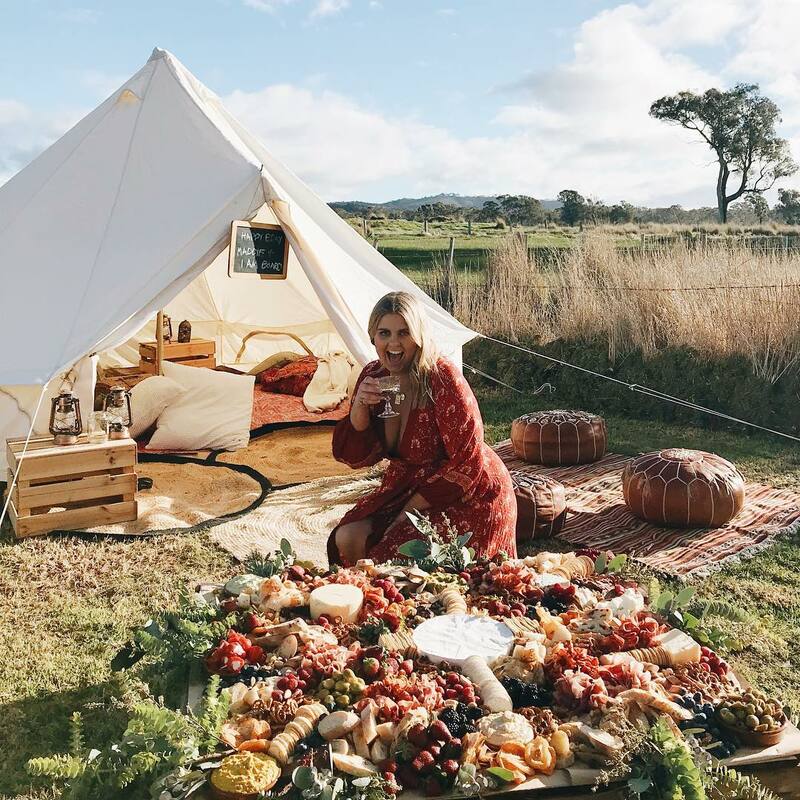 Spell and the Gypsy Collective... have been one of my favourite brands since I lived in Byron Bay a few years ago in uni. I love their messages around sustainability, and their Earth First mentality is truly inspiring. These are definitely things that I want to start introducing into the hospitality industry where there is so much waste. 3. Lululemon... I love the Lululemon ethos around community and inclusiveness, the vibe that they have in their office and in stores blows my mind - the most high vibe crew that ever lived and in doing so they attract customers that suit their brand! What does the word 'hospitality' mean to you? Do you think Melbourne has lost its hospo edge with the rise of Instagram, digital marketing and buzz words like 'matcha', 'activated charcoal' and 'buckinis'? Hospitality to me means making people feel at home. I grew up in a catering company (literally), I was 3 years old and getting cups of flour out of buckets and taking them to my Mum for cakes. That company embodied traditional hospo - great food, cooked on site, nothing out-sourced, amazing service etc. I definitely feel that currently in Melbourne people will choose to eat breakfast at the place they can post on Insta over places with great service or great quality produce and taste of food. Blending that was really important for us - activated charcoal and buckini's aren't going anywhere fast (and nor should they - Loving Earth Cacao Buckinis are my favourite things on the planet), we embrace that people want to be able to instagram their food but we don't compromise on service or quality of produce to allow for that. I don't think Melbourne has lost its edge but I do feel that in the social media age it's sink or swim - you have to do it all. I always say, at I AM BOARD we allow people to have their cake, eat it and post it on Instagram too. What are a few of you hottest tips for similar creatives looking to bolster their business with Instagram? Instagram is one of the easiest platforms to market on. It's all about high quality images and captivating captions. Little tricks that I use are to humanise our brand (that's where BOARD comes in!) - he is our voice and people relate to him and what he is saying. I try to show enough behind the scenes so that people know who we are and when we show up at their house to do a BOARD they're already familiar with us! We take photos on our iphones and throw the same filter on them in VSCO, nothing too fancy. One thing we won't do however, is compromise on lighting. It could be the best BOARD we've ever done but if it's 8pm and dark - that photo will not be on insta! Where's your favourite cafe to eat/drink/schmooze at in Melbourne. What makes it a must? I don't have a cafe in particular that I frequent (I don't drink coffee!!!!) But whenever anyone asks if they can have an hour or so of my time I tell them to meet me at the South Melbourne Market. I'm there every day but Monday - we source all of our produce there and it's where I feel most relaxed and in control. Obviously they have the best food vendors as well! For a hot chocolate or lunch I always visit Canteen Cafe or Proper and Son but my guiltiest pleasure is a Baby chocolate cake from Agathe! What's your biggest pet peeve when it comes to our city's food scene at the mo? Deconstructed ANYTHING. I cannot stand making my own breakfast, lunch, dinner or cocktail. I think it's starting to make it's way out thank god but I always think - you're the professionals, why leave it to me?! Lastly, if you could prep a board for anyone, who would it be? This is such a fun question. If I could prep a BOARD for ANYONE.. it would probably have to be Lisa Vanderpump from The Real Housewives of Beverly Hills.. no shame. I love her. She is the queen of hospitality and I know she would LOVE our vibe! or Kim Kardashian. Tragic, I know. If you like cheese and have a scary social calendar, prepare yourself to hemorrhage some serious dollar on BOARD, ASAP after proceeding to stalk the socials and . Sorrynotreallythatsorry, it’s good for you.